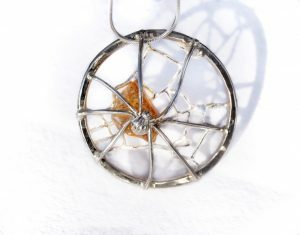 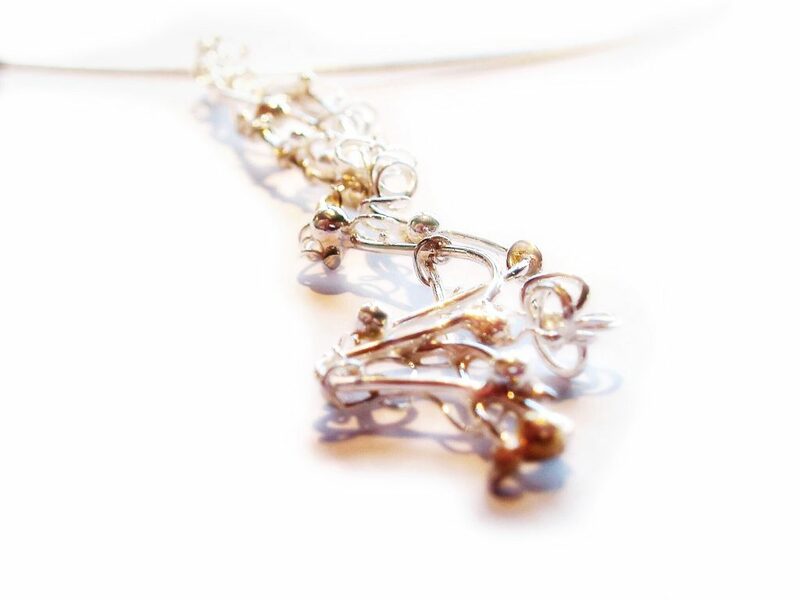 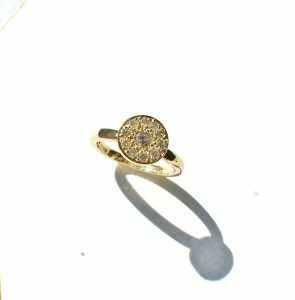 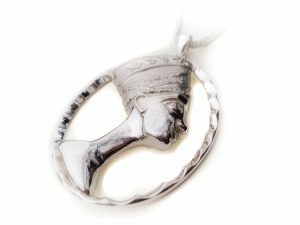 Jeweller Carol Clift creates intricate and beautiful handmade pieces using traditional techniques. Carol undertakes individual commissions that will weave your ideas and inspiration into a stunning original piece that is unique and personal to you. 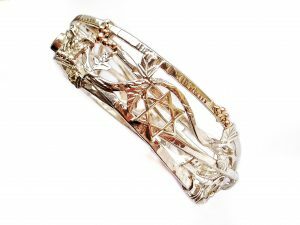 Carol creates dazzlingly beautiful and intricate work using traditional techniques studied at the University of Sheffield where she graduated with honours in Silversmithing and Jewellery in 1985. 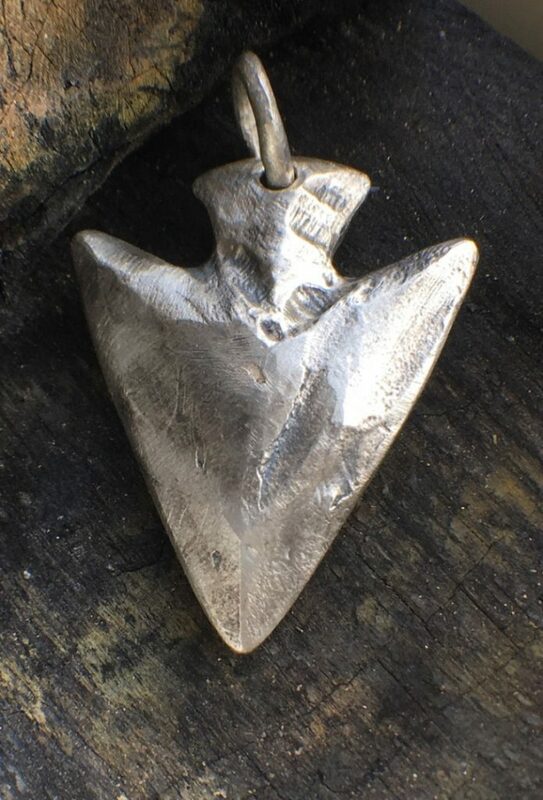 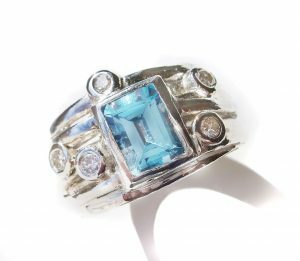 She is a member of the National Association of Jewellers and has been creating handmade jewellery for over 30 years. 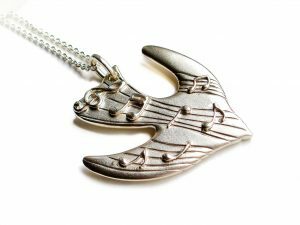 inspired by the music of Elgar, one of a kind pendant handmade in silver and gold. 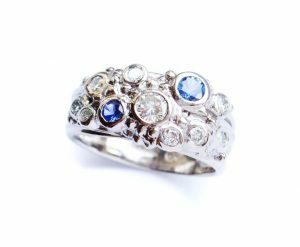 Since the studio was opened in 2005, the business has gone from strength to strength, specialising in her limited edition collections and special commissions. 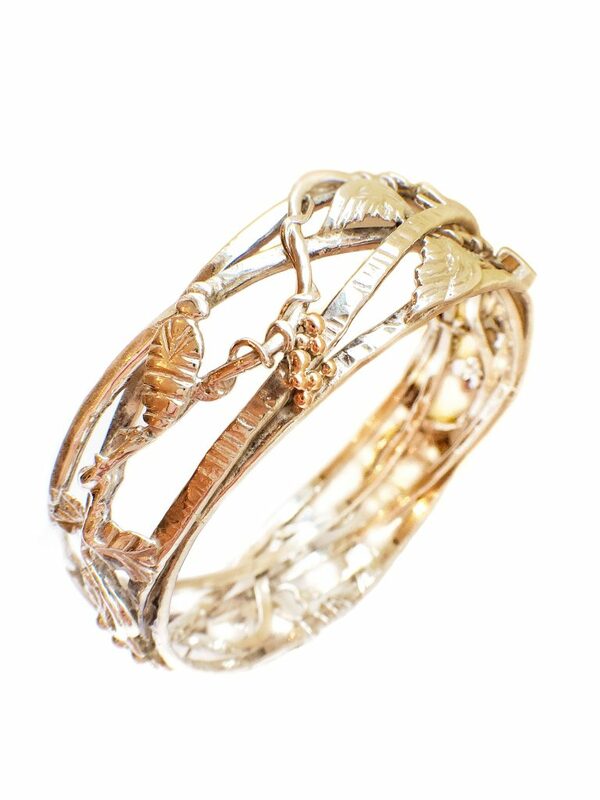 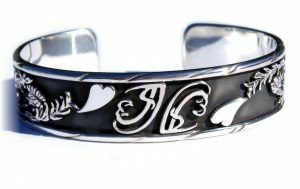 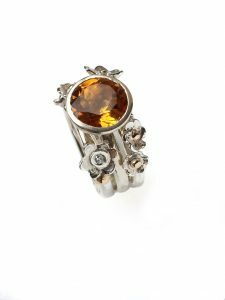 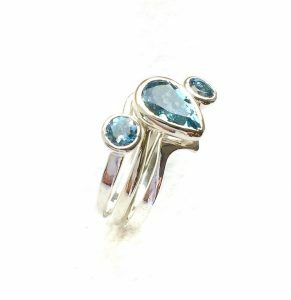 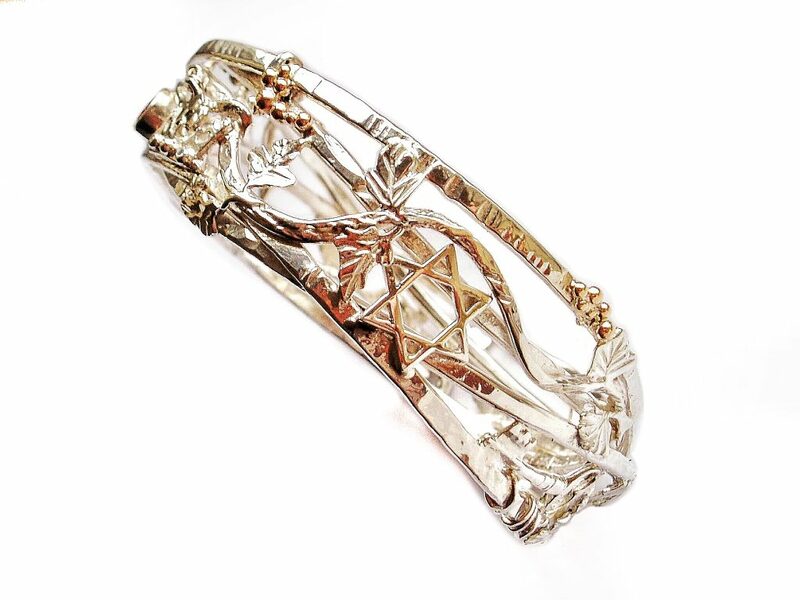 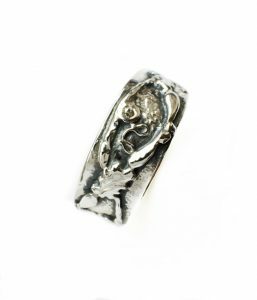 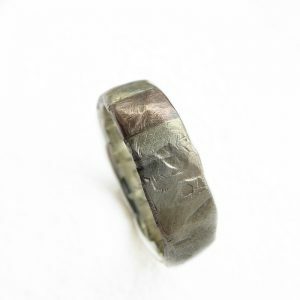 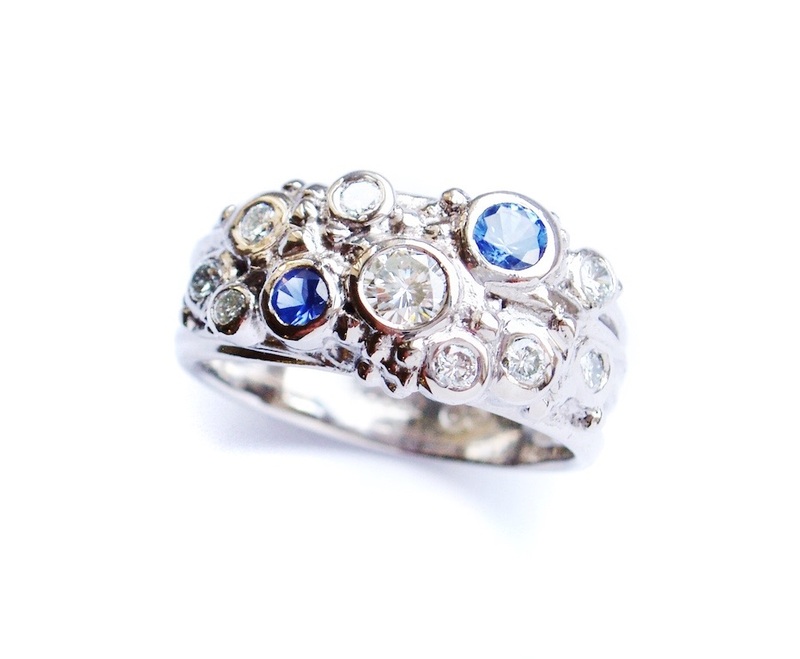 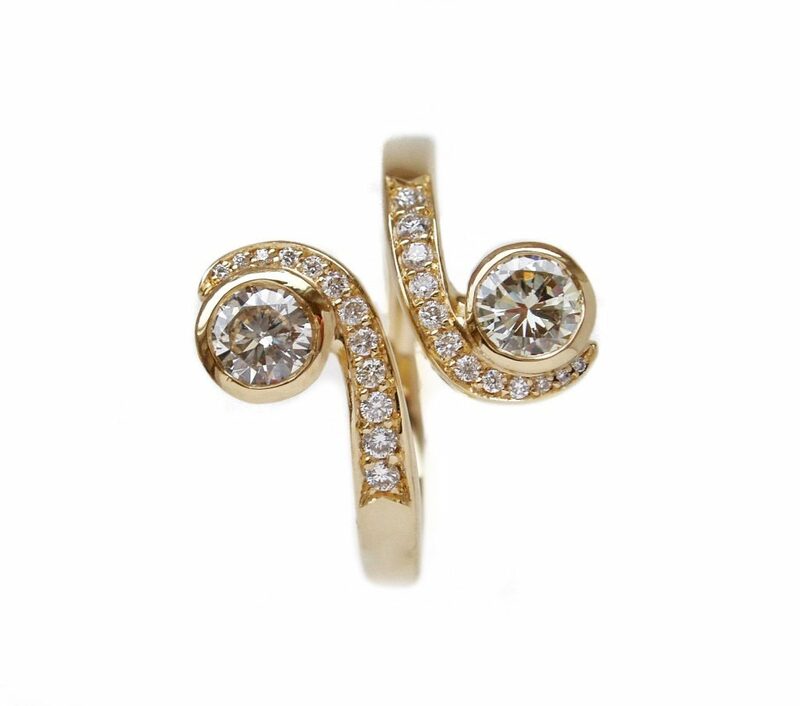 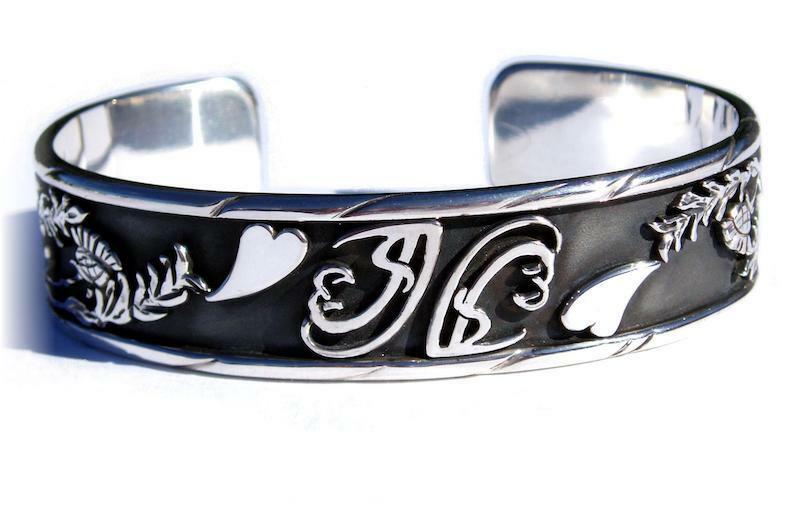 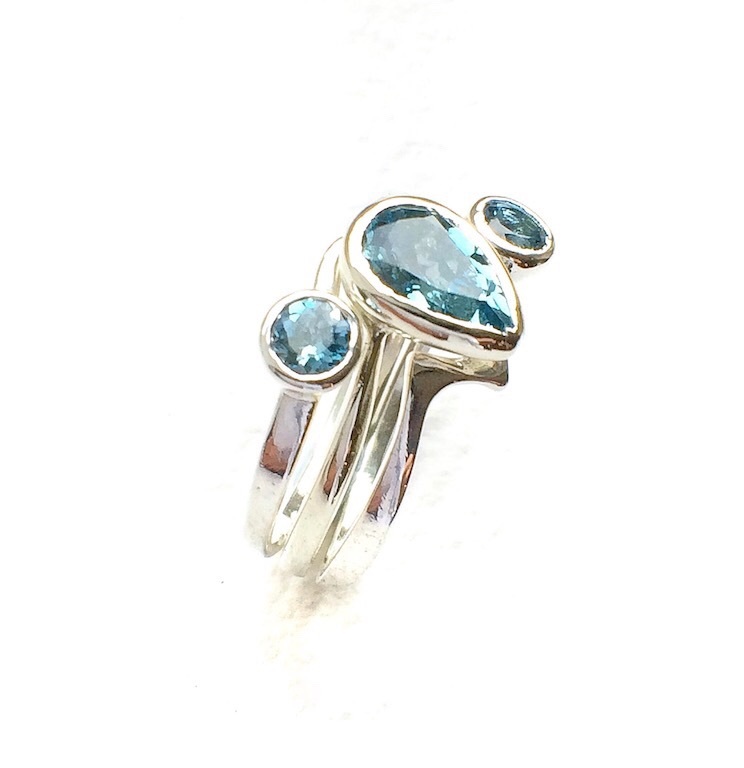 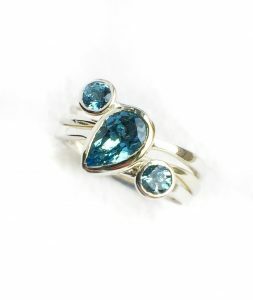 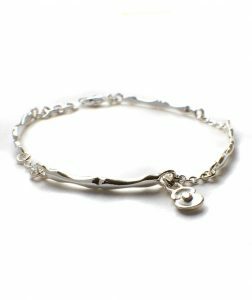 Carol works in the precious metals – silver, gold, palladium and platinum – and also with gemstones and diamonds. 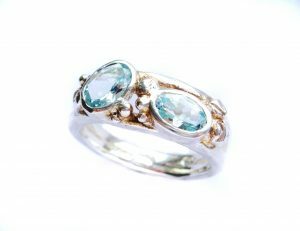 Her beautiful wedding and engagement rings and exquisite range of bridal jewellery are the highlights of her collection. Carol’s passion for good design is matched by her dedication to her clients. 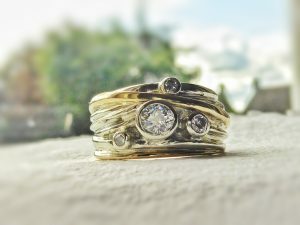 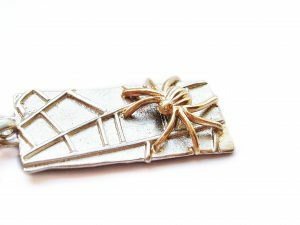 She will delight in bringing her expertise and your ideas together to create a piece of jewellery that is not only unique but personal to you, and at a range of prices to suit your budget. 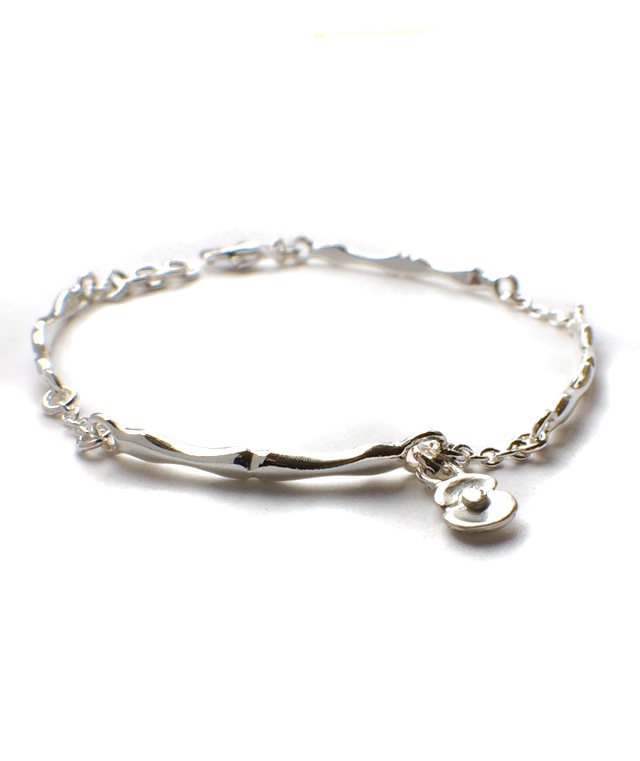 You can also buy a selection of pieces online. 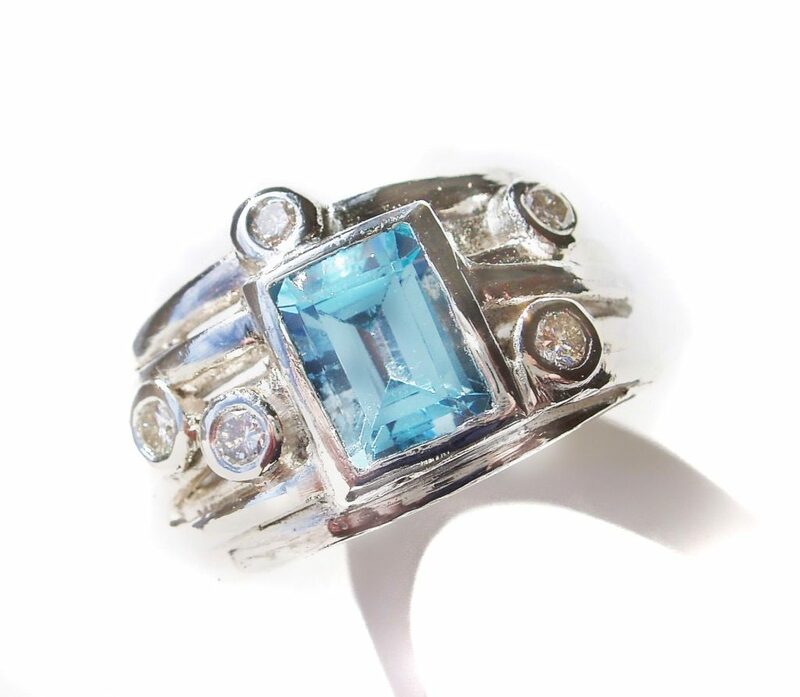 Carol Clift is proud to number a few celebrities amongst her clients, though she’s not giving any names away!